Mein Deutsch ist zu schlecht. Ich urteilte einen On-Line-Übersetzer ab, mein Deutsch ist zu schlecht. Ich werde noch einmal versuchen. Meine 1999 Bifuel V70 CNG sind im Vereinigten Königreich sehr selten. Kein CNG in England. 20 Autos insgesamt. Der ganze Volvo. Wir haben Gas aber LPG, nicht CNG. Ich scheitere, CNG Zisternen zu kaufen. Niemand, um zu kaufen! Können Sie, mir erzählen, der einen CNG Zisterne-Stahl in Deutschland oder Holland für mein Auto 1999 V70 Bifuel CNG liefere. Danke. Is Volvo unable to supply new tanks? Or is it just the price? Maybe Peltner in Vlotho/Germany can help in getting new tanks, but don't know if they can ship... and if so you'ld also need someone for installation. But maybe it's worth a trip to Germany? That might depend on the status of the car. Does she run? Is "Englander" allowed to use her on public streets? Oh, I do know people who put their (fully working) car on a trailer when they go for vacation Why not when going for a repair? Ich habe ein gesetzliches Auto im Vereinigten Königreich. Ich habe ein Auto der UK. Tanks laufen im August 2013. Ich habe nicht lange, bevor ich ersetzen muss. Es gibt keine CNG Autos in Großbritannien. Ich muss den seltensten V70 in der Welt. Eine rechte Hand Laufwerk CNG Bifuel V70 1999. Ich werde nach Deutschland zu fahren, wenn es sein muss. Ein Urlaub! oder bekommen es nach Großbritannien geliefert. CNG V70 Volvos ging an den Rest von Europa. Ich denke, es müssen viele CNG Volvos mit Panzern in Kürze ablaufen wird. Wenn es nicht sofort in 2-3 Jahren. Sie sagen: Peltner - Vlotho / Deutschland. Danke. Online translation. Is it still bad?! I have a legal car in the UK. Tanks expire in August 2013. I do not have long before I must replace. 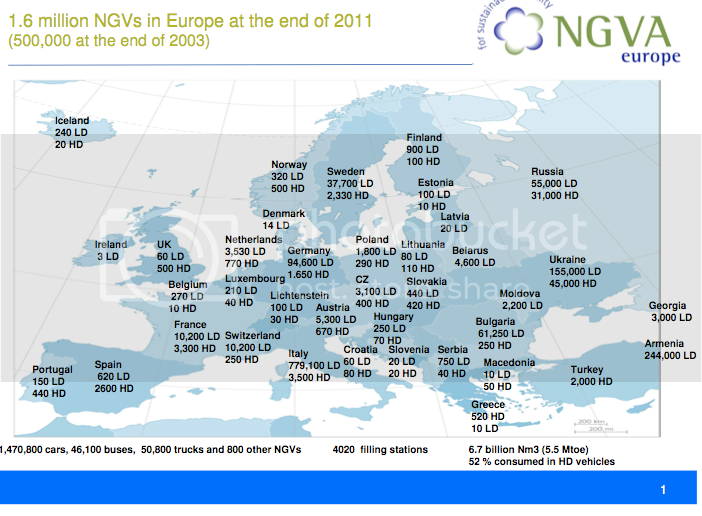 There are no CNG cars in the UK. I must have the rarest V70 in the world. A right hand drive CNG Bifuel V70 1999. I will drive to Germany if I need to. A holiday! or get a tank delivered to the UK. Installation I can do. CNG V70 Volvos went to the rest of Europe. I think there must be many CNG Volvos with tanks about to expire. If not immediately, in 2-3 years. You say: Peltner - Vlotho/Germany . Thank you. Do you have any other names? I wonder about the date 2013. Over here the tanks where approved for 10 years in those years from manufacturing, but yours must be about 14-15 years old then. I don't know the laws in the UK, but I guess now you need a tank according to ECE R110. If the ones you have are from 2003 (maybe the owner before replaced them?) they might be already have an ECE R110 approval. Then maybe Volvo can send you a document which extends the usage duration. If not, maybe it's an option just to check the tanks. In Germany you wouldn't necessarily need new tanks, you could get them pressure checked by the TUeV and reapproved for another 10 years. Might be much cheaper, around 300-400 Euro for one tank. If you need to get new ones from Volvo I guess it would be 1000 Euro or more. Other names... in earlier days Frank Scan Auto in Neitersen/Germany also was a good hint for service on Bifuel Volvos, maybe they still are. And yes, you might be right... your V70 might be really unique as RHD/CNG. In Großbritannien hat CNG nicht existieren. Nichts. Nil. Zero! Es gibt viele Gesetze für Druckgasflaschen, Gesetze zum Schweißen Zylinder, Oxy Acetylen, Tauchflaschen etc etc. Ich bin sicher, UK Gesetz ist so streng wie das deutsche Recht. CNG ist nicht vorhanden, deshalb keine Sicherheitskontrollen bei der jährlichen Kfz-MOT (Straßen-Würdigkeit rechtliche Sicherheit). Mein CNG Auto eine Bombe und im Fahrzeug Gesetz. Dennoch ist es legal. Zulässige geltend. CNG ist nicht vorhanden, so kein Gesetz. Kein Gesetz für CNG. Ich möchte meinen Tank für meine Sicherheit zu ändern. Mein Auto ist definitiv ein 1999 und endgültiges Datum für Ablauf August 2013. Tank Herstellungsdatum August 1998. Ich verstand in den USA, Typ 3 Tanks kann nicht ein neues Zertifikat angegeben. Wenn tot, sind sie tot ist. Nie werden sie wieder zu leben. In britischem Recht, ist ein Stahl-Schweißen Zylinder tot, Metallschrott nach Ablauf des Haltbarkeitsdatums. Nicht gut. Sie sind nicht berechtigt, Prüfungen zu halten. Wir haben mehr Zamboni CNG als Autos. Ich weiß nicht scherzen! In the UK, CNG does not exist. Nothing. Nil. Zero! There are many laws for pressure cylinders, laws for welding cylinders, Oxy Acetylene, diving cylinders etc etc. I am sure UK law is as strict as German law. CNG does not exist, therefore no safety checks on the annual vehicle MOT (road-worthiness legal safety). My CNG car can be a bomb and in vehicle law. Still it is legal. Permissible in law. CNG does not exist, so no law. No law for CNG. I want to change my tank for my safety. My car is definitely a 1999 and definite date for expiry of August 2013. Tank manufacture date August 1998. I understood in the USA, Type 3 tanks can not given a new certificate. If dead , they are dead. Never will they live again. In UK law, a steel welding cylinder is dead, scrap metal after the expiry date. No good. You are not allowed to keep testing. We have more Zamboni CNG than cars. I do not joke! Ich bin sicher, mein Auto ist selten. Wir hatten 5 x V70, sah ich einen CNG V70 zum Verkauf. Ich nahm mir Zeit zu kaufen, dachte ich niemand würde es wollen. Ein deutscher schlugen mich, denke ich, ist es jetzt in Deutschland. Sie haben ein Recht Linkslenker CNG Volvo in Deutschland. Es war später entdeckte ich, dass es so selten war. I am sure my car is rare. We had 5 x V70, I saw a CNG V70 for sale. I took my time buying it, I thought no one would want it. A German beat me to it, I think it is now in Germany. You have a right hand drive CNG Volvo in Germany. It was later I discovered that it was so rare. So we might make plans for Your vacancy in summer 2013... But please be aware of the fact that You won't be allowed to use the channel-train. They don't like gas-tanks below sea-level. Unless they saw the tank, but I do not see how they could. I will go by ferry boat anyway, cheaper. How would they know if a German owned CNG car goes tries to cross? No way, as long as nobody wants to see the documents (the cars license). Of course the way of combustion must be specified as well as the used fuel(s). The difference between type 1/3 is not familiar to me, is it the material? Is one of them pure steel, the other composite of steel/aluminum and carbon fibre? If a composite tank over here expires it has to be trashed and cannot be rechecked... at least the composite tanks I know (and own). Mine is 15 years. Pure steel cylinders can be rechecked. I thought the Volvos all had pure steel? I'll write in English. No one seems to like my German ;). Sorry, I did try. Type 1 are all steel tanks and have a much longer life. Type 1 are cheaper, but are heavy. Composite tanks are 3 x cost. Also have shorter life. I have few passengers and carry few loads so a Type 1 or Type 2 is OK for me. Volvo fit Type 3 in 1999 cars. A Type 3 is scrap at 15 years, some are scrap at 10 years. Dead. Type (Steel) can be checked again for another 10 years thus 10+10 years etc etc. Maybe OK for 20-25 years. Like my car, I am alone in the UK, but in Europe, no. I think many CNG Volvos in Germany and Europe require new Type 1 tanks. I think they should replace with steel unless they can spend money like water. Ich werde in Englisch zu schreiben. Niemand scheint zu meinen deutschen;) mögen. Leider habe ich es versuche. Typ 1 sind alle Stahltanks und haben eine wesentlich längere Lebensdauer. Typ 1 sind billiger, aber sind schwer. Composite Tanks sind 3 x Kosten. Auch haben kürzere Lebensdauer. Ich habe wenige Passagiere und tragen paar Ladungen so ein Typ 1 oder Typ 2 ist OK für mich. Volvo passen Typ 3 in 1999 Autos. Typ 3 ist Schrott bei 15 Jahren, einige sind Schrott nach 10 Jahren. Dead. Typ (Steel) wieder für weitere 10 Jahre damit 10 +10 Jahre usw. usw. Vielleicht OK für 20-25 Jahre überprüft werden. Wie mein Auto, ich bin allein in Großbritannien, sondern auch in Europa, nein. Ich denke, viele CNG Volvos in Deutschland und Europa erfordern neue Type 1 Tanks. Ich denke, sie sollten mit Stahl zu ersetzen, wenn sie Geld wie Wasser verbringen können. Ok, I see... for whatever reason Volvo might have done this mixture, I don't see any advantage. You might check with the producers of the cylinders, like Faber, Worthington/Stako, etc., if they have some with matching or compatible dimensions as type 1. The tank manufacturers in the UK are not interested in my money. One order for one tank, they will not sell me CNG tanks. No CNG in the UK. Faber, Worthington etc etc sell in Germany I think. How are German CNG volvo owners doing this. German Volvo owners ahve the same problem. The expensive way is to contact the Volvo dealer.